Fancy having a BMW with a MSport steering wheel with Cruise Control and Paddle Shifter? 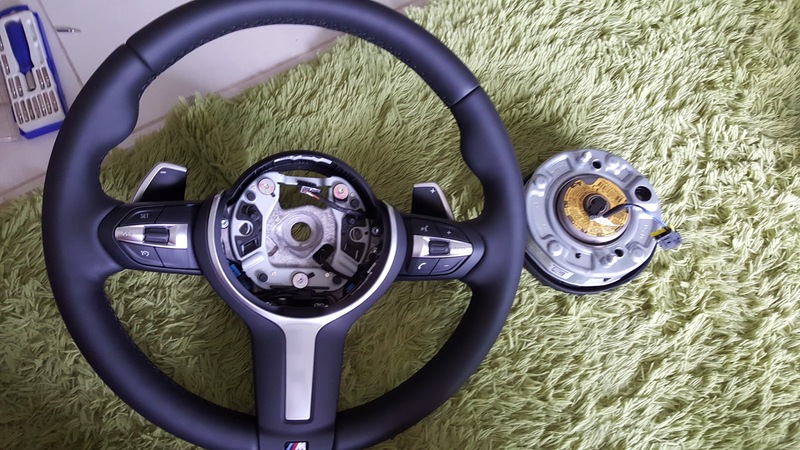 1) MSport steering wheel with air bag. 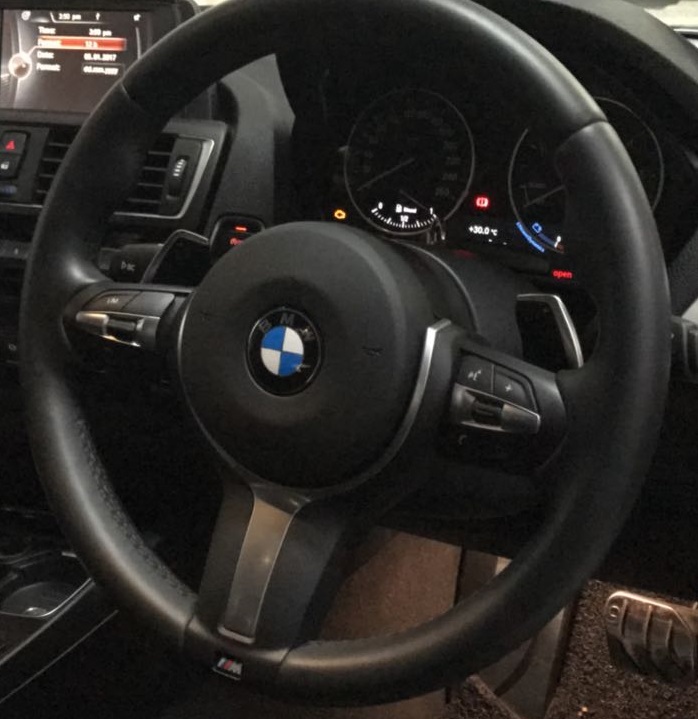 Note that F45/F46 uses a typical F30 MSport steering wheel. F10 (5 series) MSport steering wheel is not suitable for F45/F46 use. 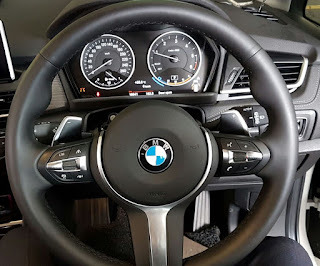 Note that it comes with different options like Cruise Control switch, paddle shifter or even Active Cruise Control and Traffic Jam Assistant buttons. 3) A screw driver or a metal rod to take out the air bag from the MSport steering wheel and your current existing stock wheel. Release the airbag from the MSport steering wheel by using the flat bed screw driver or metal rod to push the pin that holds the airbag. Repeat step 2 on the other hole. 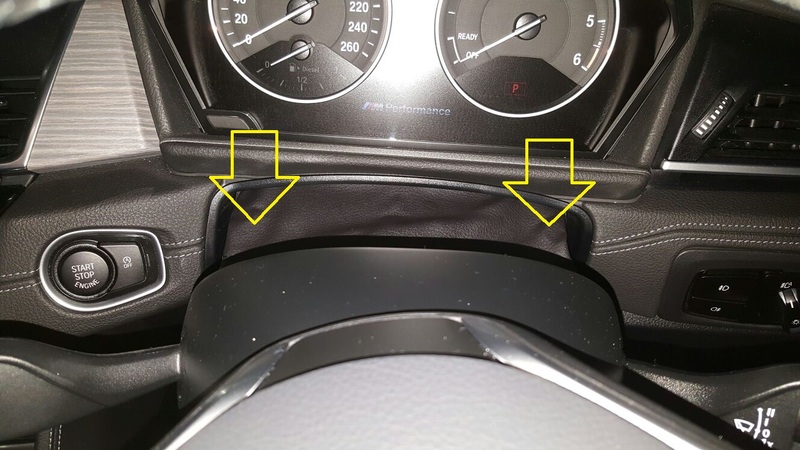 The airbag will pop out and then be released from the MSport steering wheel. Take out the airbag and store it carefully. 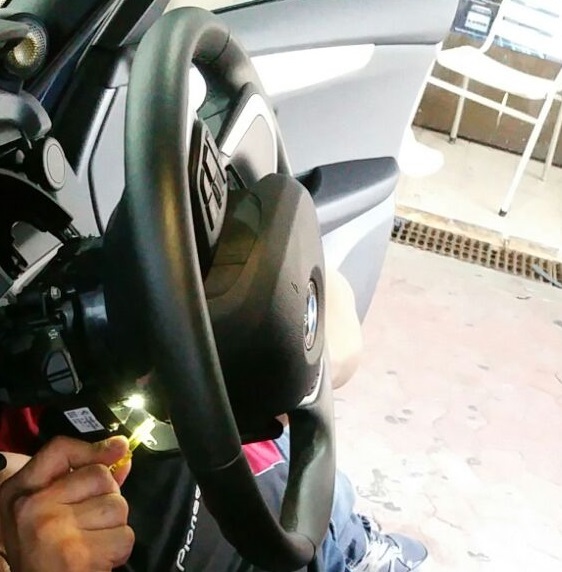 Now your MSport steering wheel is ready for your install! Lift out the cover slowly. 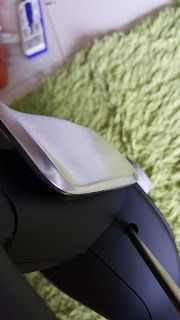 You do not need to take out the cover. Pull down the bottom cover as well and leave it dangling. 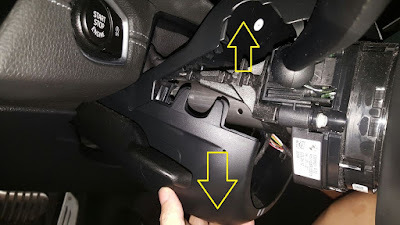 You do not need to detach any connectors. Now, you have full access to the 3 pins behind the steering wheel through the highlighted holes below which allows you to detach the stock BMW airbag. 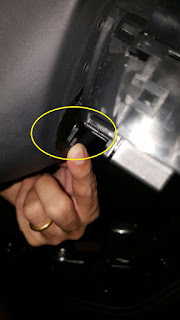 Facing the steering wheel, start from the bottom hole,use your flat bed screw driver to push the pin to release the airbag pin first. 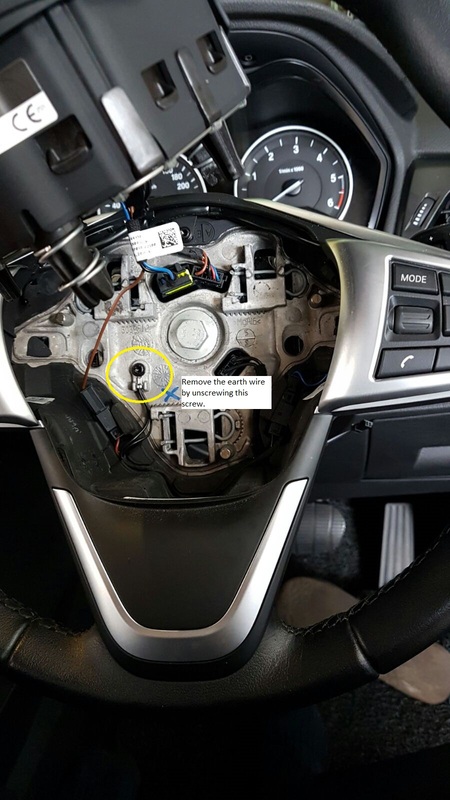 Once the airbag pin has been released, switch on the engine, turn the steering wheel to anti-clockwise, switch off the engine and continue to perform the same procedure to release the airbag pin. Repeat step 5 to access the other pin. 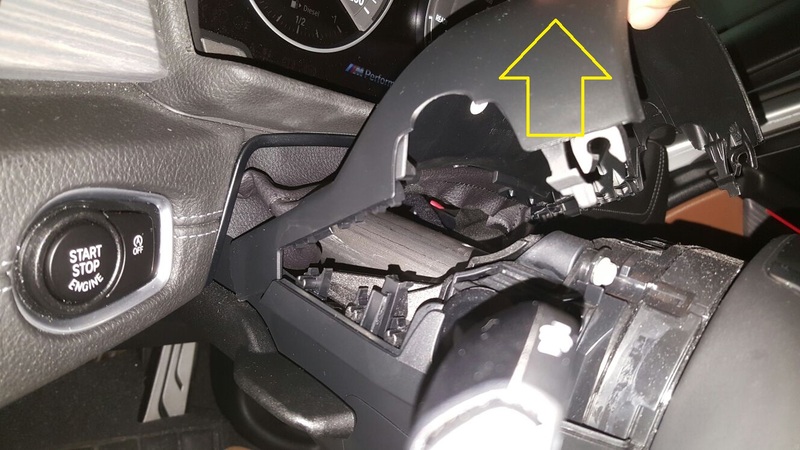 Once all the pins have been released, the entire BMW airbag will popped out and thus can be safely removed. Unplug the three connectors and unscrew the earth wire connector as shown below. 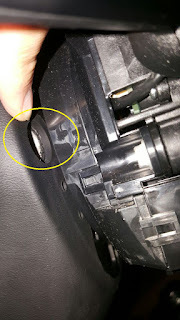 Use the socket wrench with 16mm diameter to socket to unscrew the nut and replace it with your MSport steering wheel and plugging in back the two connectors, screw back the nut and then followed by connecting back the air bag connector and snap the airbag back in place to the steering wheel. Step 7: Done! Give yourself a pat on your back! Check the horn and all buttons are working especially on the right hand side buttons. For the left hand side buttons and paddle shifter to work, it will need extra coding to be performed. Time to code Dynamic Cruise Control and Paddle shifter for your car! 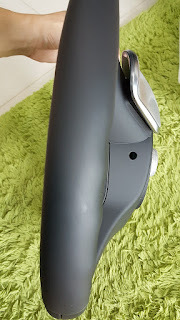 Please refer to my other blogs which provides the details to code paddle shifter and cruise control for your F45/F46. Another great and detailed DIY. Thanks mate. Looking forward to seeing new posts from you. 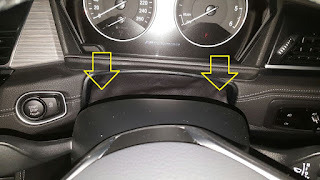 Did Dynamic Cruise Control always work with every car that have driving assistant? Your new wheel have Dynamic Cruise Control the old have not! 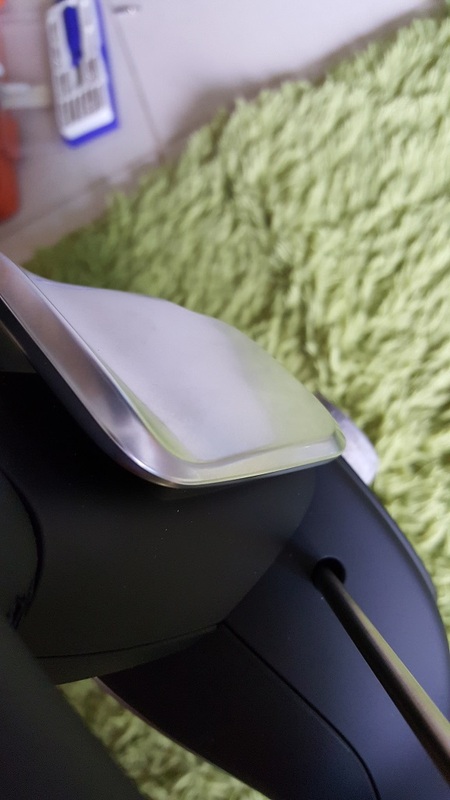 Do u need to add cables so that the paddles work? So far, I know it's all prewired for F45, F46 and F48. 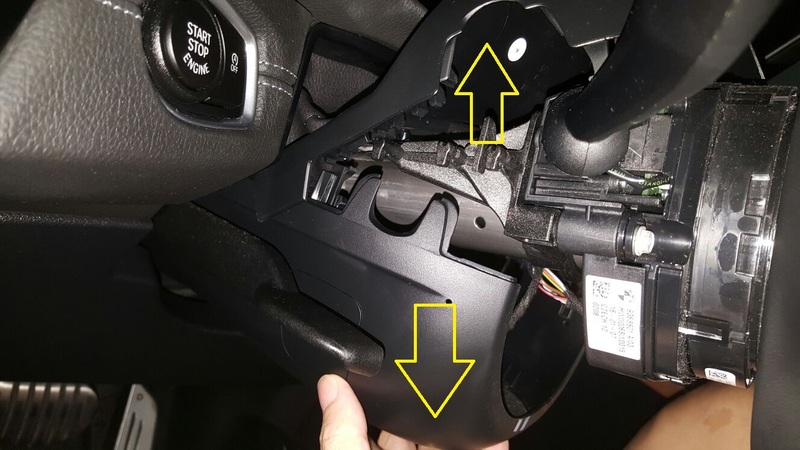 Would you like to share the coding for cruise control? where is a good place to source for this M sport Steering ? 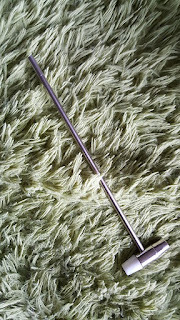 Ebay is your best bet! how did you cancel the airbag warning light? I read your your precious guide and I installed the m sports steering wheel with paddle on my Bmw X1 f 48 xdrive 1.8d automatic transmission, it works all but gives me an airbag error and the paddle does not work. 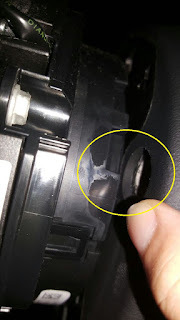 It was not possible to reset the warning light because my airbag is two-stage and the one-wheel steering wheel m sports. 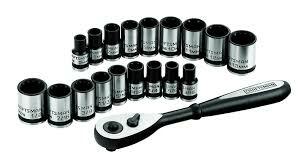 How did you make everything work? Thanks you very much for your information, very useful. 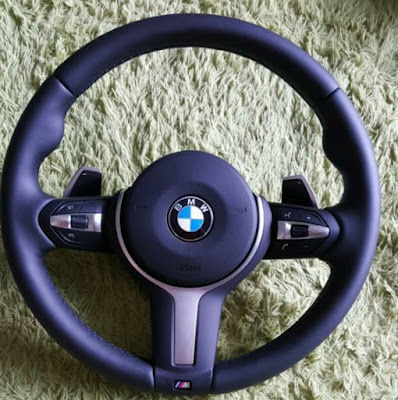 Do you know F48 1.5 engine can use this steering wheel?